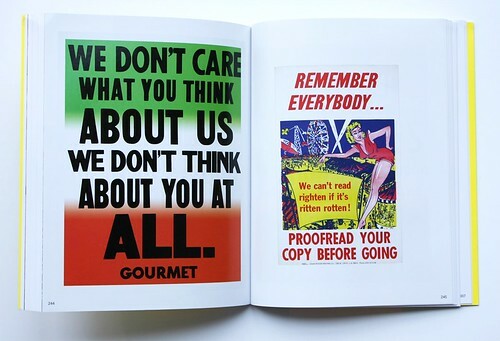 Since it was founded in 1948, three generations of Colbys have churned out every kind of letterpress poster – designed or ‘undesigned’ – often printed on garishly coloured or fluorescent stock, promoting anything from house sales to carnival rides to punk gigs. Client posters by Colby Poster Printing Company. Top: installation view of posters printed by Colby. 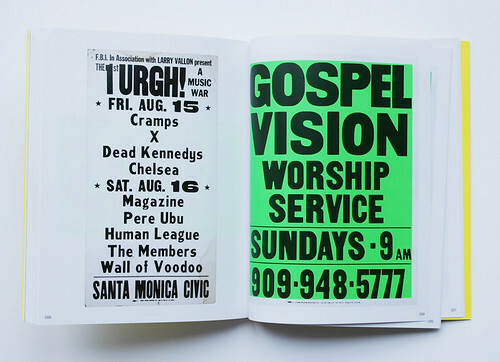 So you can see a big, bold poster for the ‘Gospel Vision Sunday Service’ just a few pages away from an Anthony Burrill poster demanding: ‘Give the joy back’. 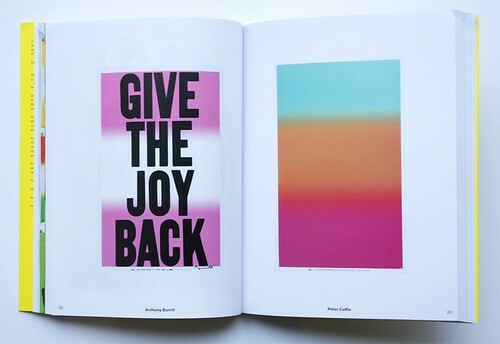 Anthony Burrill, Give the joy back, 2012 and Peter Coffin, Untitled (designs for Colby Poster Co.), 2008. Burrill (see ‘Over the rainbow’, Eye 75) has long valued the ‘big type’ authenticity of vernacular poster printing, working with Gráfica Fidalga (now closed) in São Paulo and Adams of Rye (still thriving). But the practice goes back several generations. 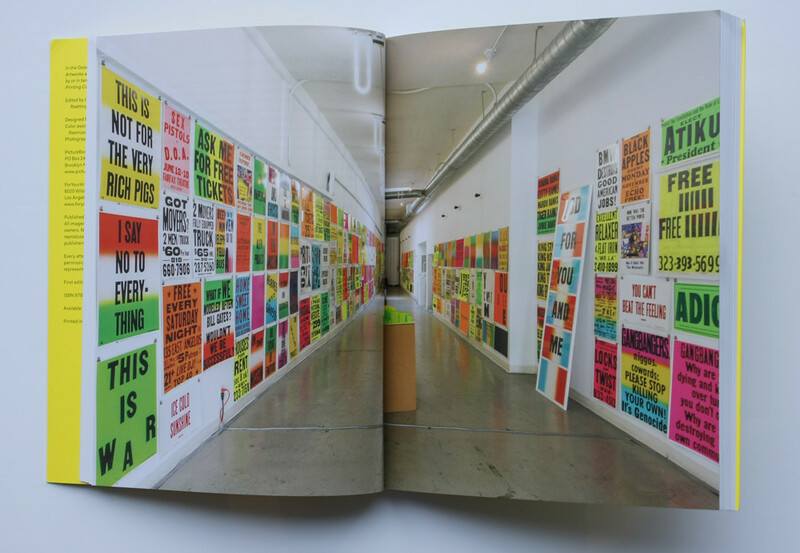 Most of the posters in this book are very loud indeed. 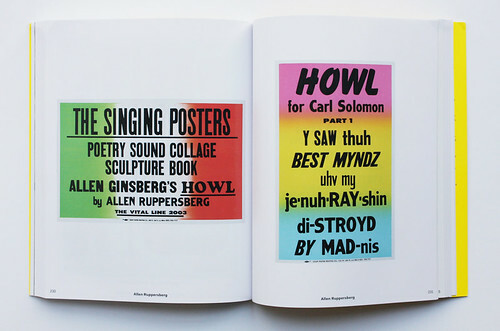 The start of Allen Ruppersburg’s poster series The Singing Posters: Allen Ginsberg’s Howl, 2003. The opening essays by co-editors Jan Tumlir and Christopher Michlig are written partly in ‘International Art English’ (see ‘Artspeak’ in Eye 62). Michlig writes about the point ‘where the skillful hand of the union typesetter meets the contextual and generative instinct of the artist.’ Tumlir conjures up a ‘perspectival chute of semiosis’ (try saying that out loud). 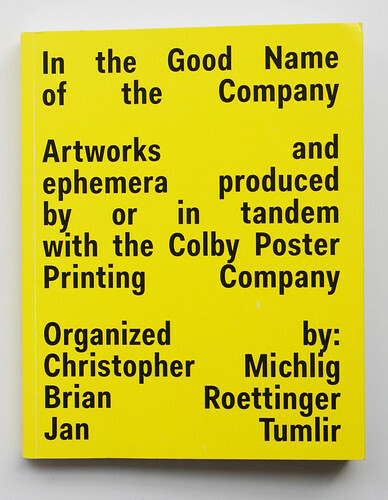 Happily, the posters – lots of them – tell their own story, and that of the Colby printworks, whose comps continued to pump up the volume for anyone and everyone who walked in the door. 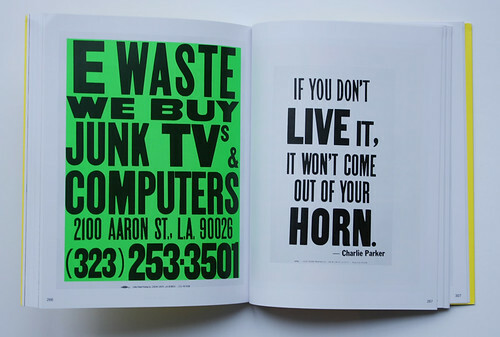 Some of the ‘vernacular’ posters, made for uncredited clients, look less dated (or more punchy) than the art. Colby posters for uncredited clients. Happily no-one – neither the car’s occupants nor passing pedestrians – was seriously injured when the car smashed into a shopfront. Double gatefold showing Cody Hudson’s six print set, You Can’t Win Them All, 2012. Cover design by Brian Roettinger.